About a month ago the weather ‘experts’ here in Arizona were forecasting a colder and wetter than average winter – exciting for us desert folk. But they recently changed their story and gave us the sad news that Tucson will be warm and dry for the rest of time only adding fuel to my desire to eventually live elsewhere. A Tucson home for the winter and a mountain cabin in Colorado for the summers would be pretty sweet. Wedding dresses are quite handy in the winter. 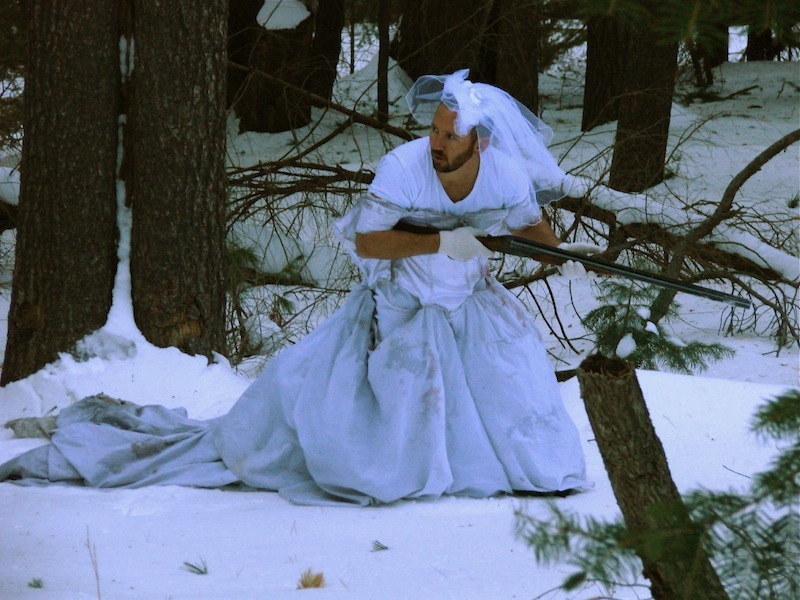 I threw together a small slideshow of wedding dress applications for the holidays – starting out with a video my brother took of me in my snow camo when there was snow on our mountains a couple years ago.